Stop by and check out the great location of our Pop Up gallery in East Elbow Park. The house is for sale and listed with realtor, Barb Blakemore. It is one-of-a-kind and worth the Saturday afternoon trip to see it. 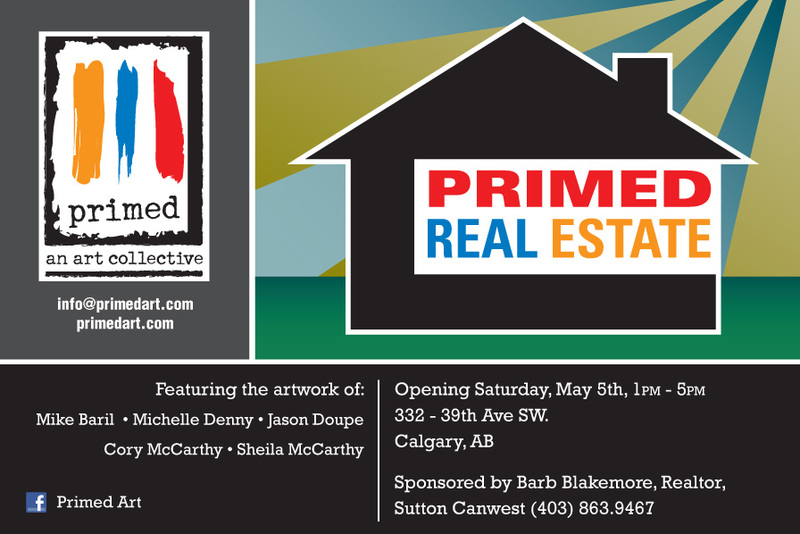 PRIMED REAL ESTATE will feature works from all 5 members of the Primed collective. We will be there to say hi if you drop by Saturday May 5th from 1-5pm.